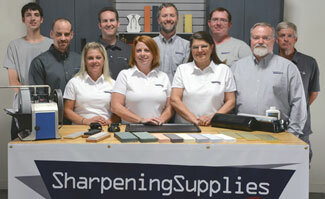 At SharpeningSupplies.com we use US Postal Priority service for all of our shipments going to overseas. We have found it to be a fast and efficient method of shipping. We stock our merchandise in our US warehouse. By stocking everything we sell, we can get your product shipped quickly. We ship all international orders complete, we do not split ship in the case of back-ordered items. Please allow a few extra days for processing international shipments. On orders shipping internationally, we base our shipping charges on the weight of the item. If you add something to your your cart, we will give you an estimate of the shipping charge. The exact shipping charges will be available to you prior to entering your credit card information. When ordering from SharpeningSupplies.com, the recipient is the importer of record and must comply with all laws and regulations of the destination country. Title and risk of loss for items ordered will transfer to the recipient upon delivery to the common carrier in the United States. Please note that products shipped internationally may not be designed in accordance with destination country standards, specifications, and labeling requirements. The manufacturer warranty may not be valid. Instructions for your item may not be available in your country's language. The customer is responsible for determining which products can be lawfully and legally imported into the destination country. All of our electric sharpeners are designed to work on 120V, we do not offer any 220V models. We, unfortunately, are unable to ship electric sharpeners outside the USA and Canada.